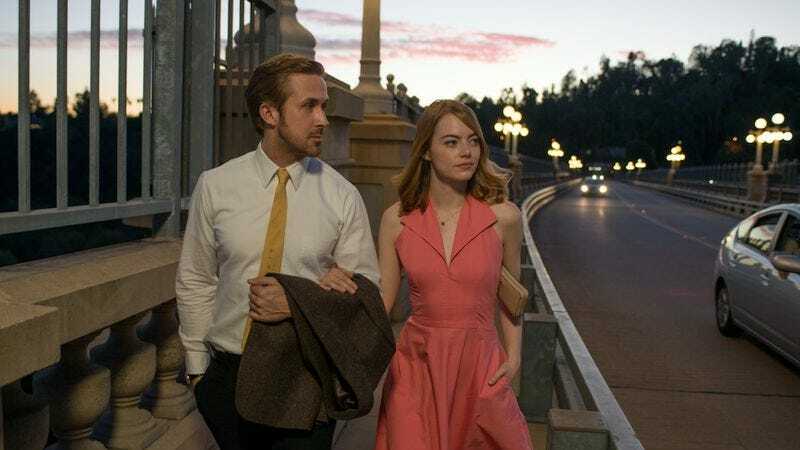 New York Film Critics Circle fell prey to the charms of the West Coast this year, choosing the musical ode to Los Angeles La La Land as Best Film. The win makes today a very good one for Damien Chazelle’s film, which also received 12 Critics’ Choice Awards nods when those were announced earlier today. But the New York critics spread their love around: Manchester By The Sea and Moonlight both got three commendations. For the former, Kenneth Lonergan won Best Screenplay, while Casey Affleck was Best Actor and Michelle Williams was Best Supporting Actress. (Williams’ prize was also for her work in Kelly Reichardt’s Certain Women.) Moonlight’s Barry Jenkins and Mahershala Ali collected Best Director and Best Supporting Actor, respectively, and James Laxton picked up Best Cinematography for the film. The top actress prize went to Isabelle Huppert—who was shocked when she triumphed at the Gothams—for her performances in both Elle and Things To Come. Elsewhere: Best Documentary went to O.J. : Made In America, Best Foreign Language Film to Toni Erdmann, and Best Animated Film to Zootopia. The Edge Of Seventeen and Krisha tied for Best First Film. The results were announced on Twitter.